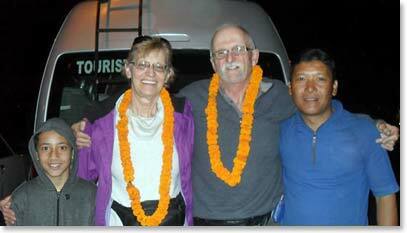 Everest Base Camp Dispatch: April 25, 2012 – David and Joanne Arrive in Nepal! 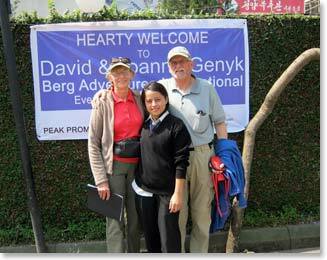 April 25, 2012 – David and Joanne Arrive in Nepal! 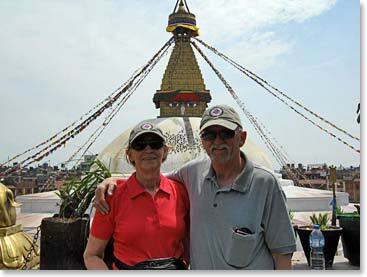 After many hours flying overseas, David and Joanne arrived in Kathmandu. Already they have taken in the culture and had some R & R. Soon they will make the next leg of their journey landing on the famous air strip in Lukla. Once they meet up with the support crew, they will start the first leg of their trek to the ever so busy, yet remote, Everest Base Camp! 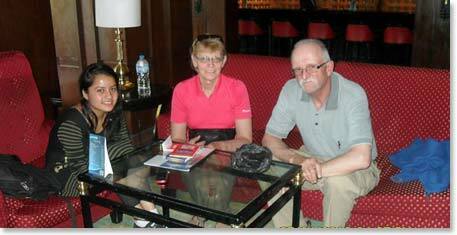 David and Joanne are met at the Kathmandu International airport by their local guide Rupa and her younger brother. 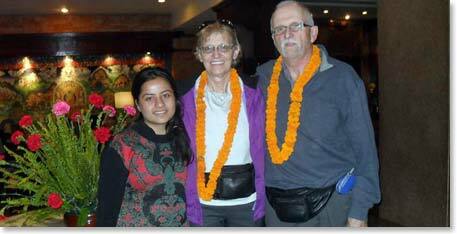 Rupa welcomes David and Joanne to their cozy and deluxe hotel, the famous Yak and Yeti. 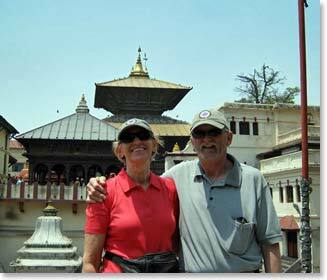 After a rested sleep, Joanne and David tour the streets in the big capital city of Kathmandu. Here they are standing in front of the Pashupatinath Temple, which is one of the most sacred Hindu temples of Lord Shiva. Next stop was the ever so famous, Baudhanath Temple. 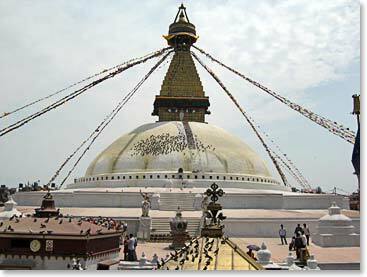 The stupa sits on the ancient trade route from Tibet and is one of the largest standing Buddhist stupas in the world. Down to more of a business matter, Joanne and David sit with Rupa at the Yak and Yeti lounge for a briefing on their trek. The team takes a quick moment to pose for a photo in from of their welcome banner at the hotel.